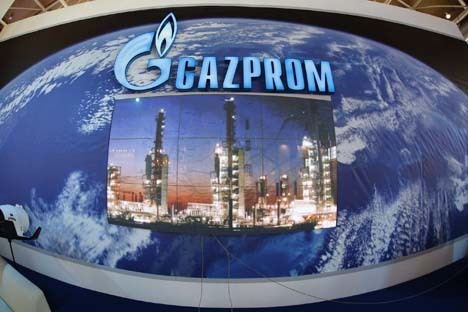 In the future Gazprom may lose its monopoly on exporting gas from Russia. Gazprom’s earnings and production are both considerably down, with the Russian natural gas major reporting its worst ever bi-annual financial results. Figures released for the first six months of 2015 show that production is at 209 billion cubic metres, down by 13.1 percent, while gas exports for this period fell by 12.9 percent to 88.5 billion cubic meters. Analysts say the company must now review its development strategy and search for new customers. Russia's natural gas giant Gazprom has reported its worst ever half-year financial results. Figures for the first six months of 2015 show that production has fallen by 13.1 percent to 209 billion cubic meters and gas exports by 12.9 percent to 88.5 billion cubic meters. The numbers were noted in a monitoring report prepared by the Russian Ministry of Economic Development for the first six months of 2015. According to the ministry, by the end of the year Gazprom's production will fall by 7.2 percent to 414 billion cubic meters of gas - the lowest in the company's history. The figures come at a time when Gazprom cannot sell additional gas due to falls in consumption in its key markets. Russian experts believe that the negative results are due to mistakes in the company's strategy, although by the end of the year the situation may improve. "Gazprom's top managers have made systematic mistakes in their forecasts of the gas consumer market in the EU and the Pacific Region," says Vasily Yakimkin, a professor of finance and banking at Kremlin-linked economic institute, RANEPA. Ilya Balakirev, a chief analyst at UFS IC, says many factors are at play, some of which could have been predicted and controlled. "This includes the situation in Ukraine and America's 'shale revolution', but in reality, in one way or another, the problem deals with miscalculations in Gazprom's strategic planning, which persistently increased production capacities without considering the demand," explains Balakirev. Dmitri Baranov, of Finam Management, says these indicators are related only to the first six months of 2015 and the situation may change in the second half of the year. Balakirev says in Gazprom's defense, that its planning models work in periods of decades rather than months, which means that local dips in demand should not be seen as critical. Gazprom hopes that there will be growth in demand in Europe and there are grounds for such expectations: demand began to increase in the first quarter of 2015 for the first time in two years. According to Eurostat, the consumption of gas in the EU, which for seven quarters straight had been decreasing, grew by 12 percent year-on-year. Yakimkin believes a tough economic policy and the consolidation of assets offers the gas monopoly a way ahead. In particular, Gazprom must develop others directions for its LNG (liquefied natural gas) and conquer Asian markets since Europe is a diminishing market. "In the medium to long term there are two ways out for the company: to radically modify its general business strategy or enter new markets by launching new pipeline and processing projects," says Balakirev, adding that this is what Gazprom is doing: its new projects include the Turkish Stream along the Black Sea seabed to Turkey and the Power of Siberia to China. Yakimkin believes that in the future Gazprom will probably lose its monopoly on exporting gas from Russia. Moreover, the Ministry of Economy believes that the 2015 results show that Gazprom's share in the production of gas in Russia will decrease to 66 percent compared to 69.5 percent last year and 74.5 percent in 2012. Gazprom's competitor, state-owned Rosneft, has proposed completely liberalizing gas exports by 2025. It has written to the Energy Ministry suggesting that from 2016 independent producers be permitted to export gas from Russia to overseas markets.